Captains Log: Star date 81309923. So, I made it down to Miami safely yesterday. It was like a 7hr long directors cut of “The Fast and The Furious: Miami Speedway” Seriously, I think I drove at 90 an appropriate, legal speed while there were people around me flying at 90mph. As I lay here and type this there were things I instantly noticed about Miami. 1. people can’t drive/ drive suicidally. I saw people switch lanes with only a car length of space; I counted 45 near accidents on my way here. 2. the street names? I shouldn’t have to pass SW 93 st, ave, ct, pl THEN see SW 94th… I propose Miami gets their streets renamed, immediately. Anyways, You should check her out if you want a wedding planned. She’s giving us a GREAT deal on her rate. We finally made it to our destination, and we were greeted by 3 adorable girls (and by we, I mean she) as we hung out and ate chocolate cake, I was given the opportunity to gaze into the past of my fiancée. Today there are a few things we are going to try and do while we’re here… unfortunately, the list of places to go a few friends of mine sent me won’t be completed. I’m starting to feel a little bit better, my sinuses aren’t killing me as much as they were over the weekend. It’s the first Monday in July, which means I SHOULD be doing a monthly update of everything I wrote about in June; Alas, it was mainly Monday updates and and the new facebook vanity url thing. Naturally, I’ve apologized to everyone and I’m trying to do better. I really am. I’m telling you, this series never ceases to amaze me. They give you just enough slow time to catch your breath for the next wave of crazy stuff they insist on sending your way. Is it me, or does the “golden boy” resemble Tim Tebow… No? My first one dealt with Kingdom Hearts 358/2 getting a “release date” from Gamestop. This is the article I used to get the opportunity to write with these guys. This one dealt with the E3 Video game conference. This is my first Video game Review; it was for the Sony Exclusive “inFAMOUS” I had to beat the game in a week. Then I Did a review for “Trash Panic” which was essentially Tetris in a Trash Can. Then there was my review for Dynasty Warriors 6: Empires. For some reason, I just kept putting this game on hold. There’s a soundboard for the iPhone coming out that’s pure evil. Finally, I noticed something that BestBuy is cooking up over there in way of a PS3 Bundle. And that’s all about all I’ve written so far for those Guys. Tell your video game friends to go read them and leave comments… I’ll only get into the “big leagues” if they notice that people like my work. If you don’t like my work, tell me what I can change. Moving Day is about 4 weeks away, I am quite excited. I’m on box hunting duties until then. The first Monday of 2009 !!! Mine was alright, but Ms. Blogmaster was at work, and Heather had left me… so I spent it with my PS3. Heather left me; so she could get better; or so she claims. We spoke about a different type of marrying in the family. I started to really miss Heather. I ushered in the New Year welcoming all the new future readers. And finally, P-Unit arrived in Town on Saturday. You might be wondering how did that visit go. Honestly, not as bad as I thought; It could have been MUCH worse. I guess I can finally shed my mental image of my “Old World Parents” and take up this New and Improved version of them. However, I will NOT have them sleep over any more; Yes, they DID sleep on the futon like I said they would, but they need their OWN bed when they come up here; we don’t have a “Guest Bedroom” yet, so a hotel will have to do. My little sister is also up here now, and it’s not that bad. I won’t be babysitting her, I might tell her how to find things, or let her know how things work on campus, but that will be about it. Yes, we’ll hang out ever now and then, but we’re both adults and we’re leading our own lives. p.s. I got a funny clip… but i’m saving it. I woke up this morning, and she wasn’t there next to me. I ran out into the living room; she wasn’t there either. It’s the first morning without my laptop mistress, I knew I was going to miss her, but i didn’t realize it would be this bad. I noticed things were bad just 3 hours after I sent her away. Well, The day has arrived. 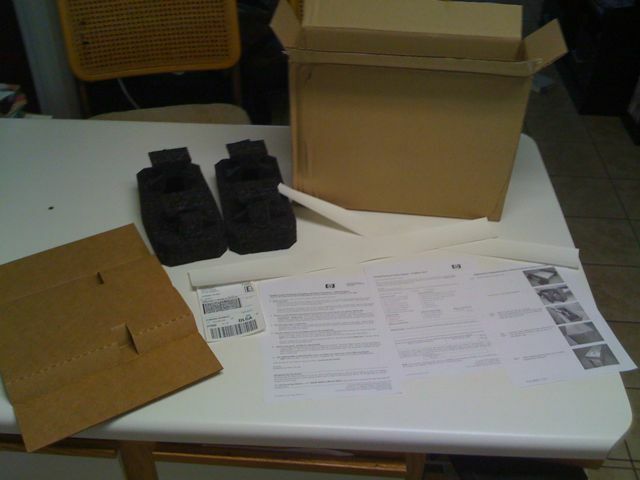 I just got my empty box to ship Helen (i mean Heather…) back to her homeland in. One final backup and now it begins. I have to erase all her memories now. Blame my information security teacher for that one. I already miss my mistress; who will keep me warm on those cold lonely nights? Whose buttons will I push now? With my parents arrival around the corner, and spring semester not far behind, I only wish I started this process earlier. So I open my empty box; and it’s not so empty. They gave me packing supplies and forms to fill out, and instructions on how to properly pack my loved one for her journey. As of now she is 60% back to factory settings/memories. 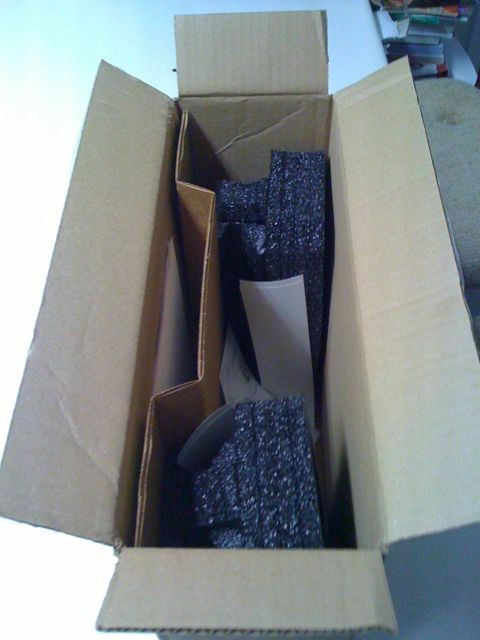 I also gave to call fed-ex to either pick it up or me drop it off somewhere… More on that later. I called FedEx (the people who sponsor the Orange Bowl) about a scheduled pick-up. The lady was so nice. They are picking her up later today even after dropping the box off not too long ago. Sorrow washes over my soul. 2 really good photo-shoots i did recently (I like to take pictures of random things) Has disappeared. As some of you might remember, My mistress Helen Heather Pi is still pretty sick. I’m getting her ready to be sent off to a facility for some preemptive tests; They might perform some surgery on her, I hope everything will be OK with her. I’m currently backing up her memories… I swear she doesn’t forget a THING. I’ll be tracking the progress as best as possible. You are currently browsing the archives for the Exodus category.